These small office design ideas will make you more productive as you pursue your dream to blog or work from home. 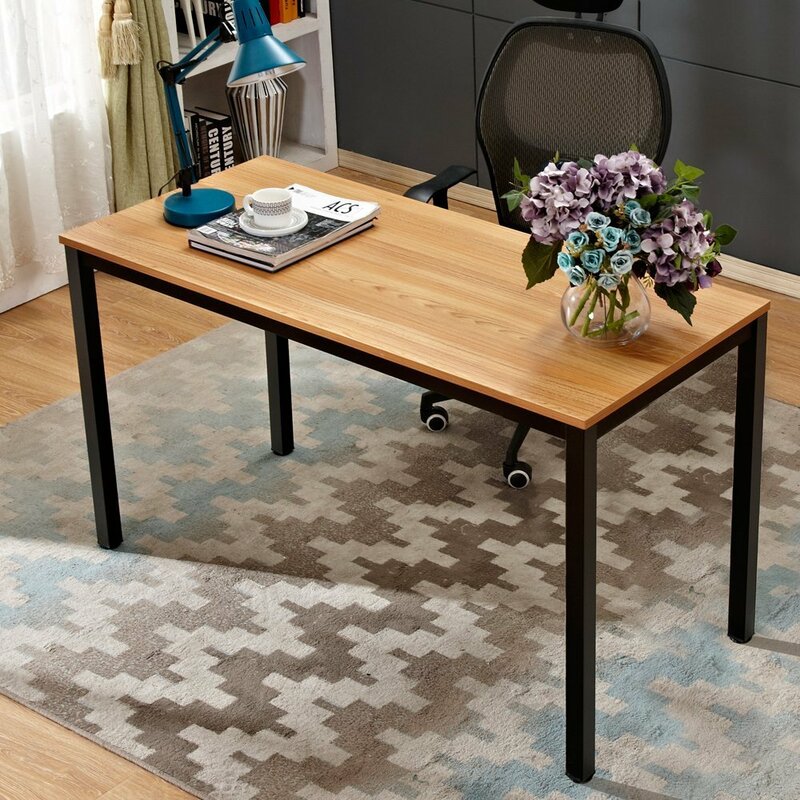 You may be discouraged by the small space available for your home office, but don’t be! All of these office ideas are specifically designed for small spaces. These 15 small office design ideas are best for small office interior design and include pictures to help you choose a layout that works for your space. Since setting up my own home office in the guest room that we never use, my quiet time for working has increased my productivity immensely. 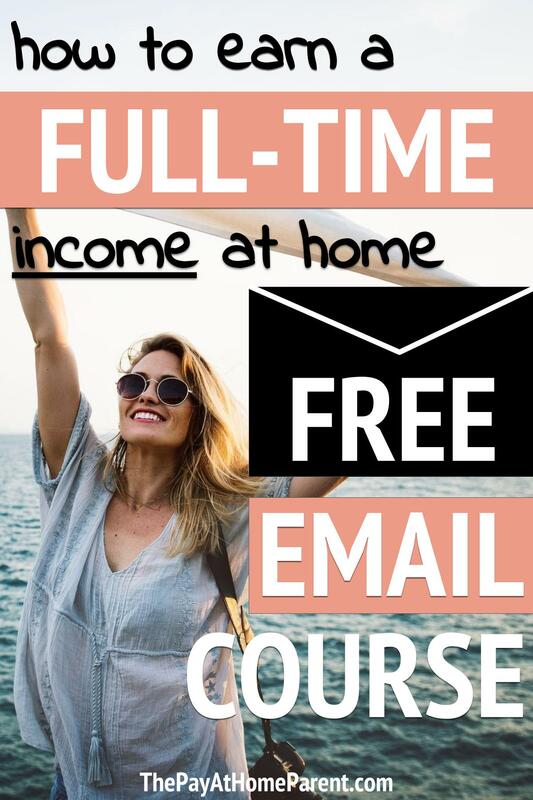 You may be surprised what a small home office used exclusively for your home-based business could do for your productivity as well. I truly believe that the design of your small office is important. A few things to consider when designing your office include organization, color scheme, placement and total space. Let me briefly explain each of these important small office design features! Organization. Having an uncluttered, well-organized small office design helps you focus on your work. You’ll be able to spend more time working and less time stressing about lost paperwork or pens. Color scheme. The color of your small office design actually affects your productivity! Choose a room paint base color of blue for productivity with touches of orange to evoke emotion, yellow to evoke creativity or red to stimulate physical activity. Room placement. Be sure to choose a room that is not going to attract too many “visitors”. For example, your productivity will sky rocket if you take your work away from the family room couch and into a corner guest room. Total space. Though a small office design can be quaint, be sure to allow yourself more than some closet space if possible. It does not take a whole empty room to increase productivity, but it is important that you have room to stretch your legs and change your view as needed. Take a look at these office design ideas for small spaces and let me know which one is your favorite in the comments below! Consider a beautiful writing desk finished in antique nutmeg with a black base to match. This small office design idea perfectly complements homes with a vintage style. 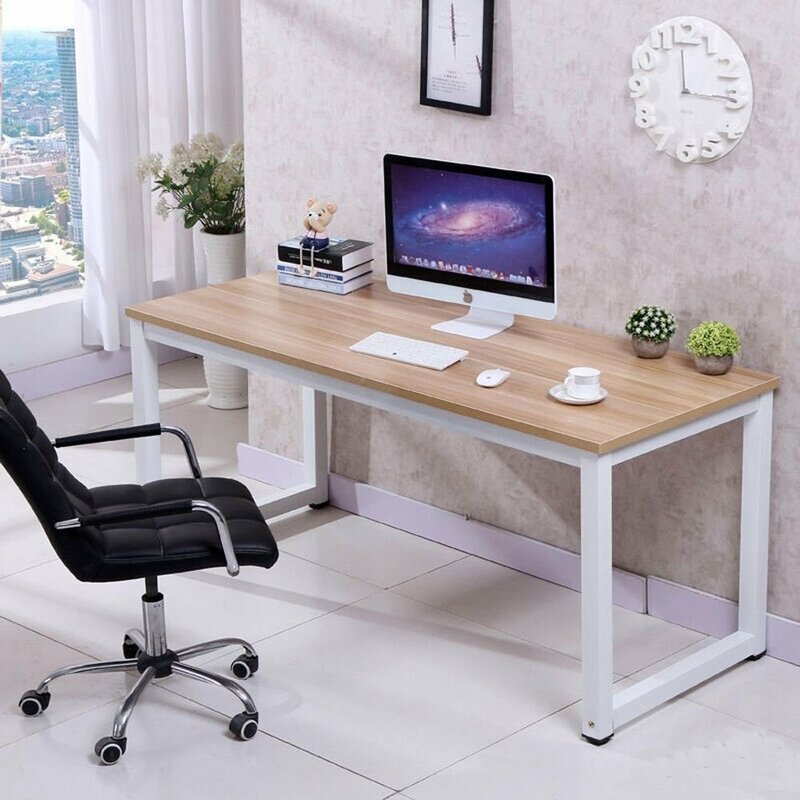 Brighten any small office design layout with a wooden topped white trim desk. Mornings in this small office space will be a dream! There is something about green and gray that makes a room so calming! 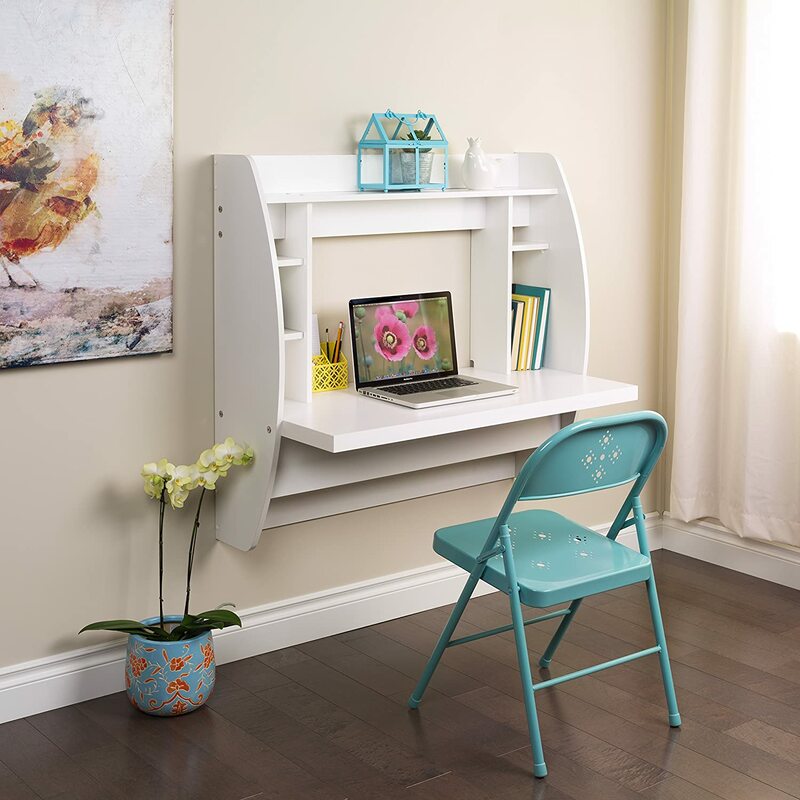 This home office desk presents a quiet place to work in any corner or nook. This modern office design idea for small spaces is both simple and affordable. A small work space is all it takes to multiply your productivity while working from home! 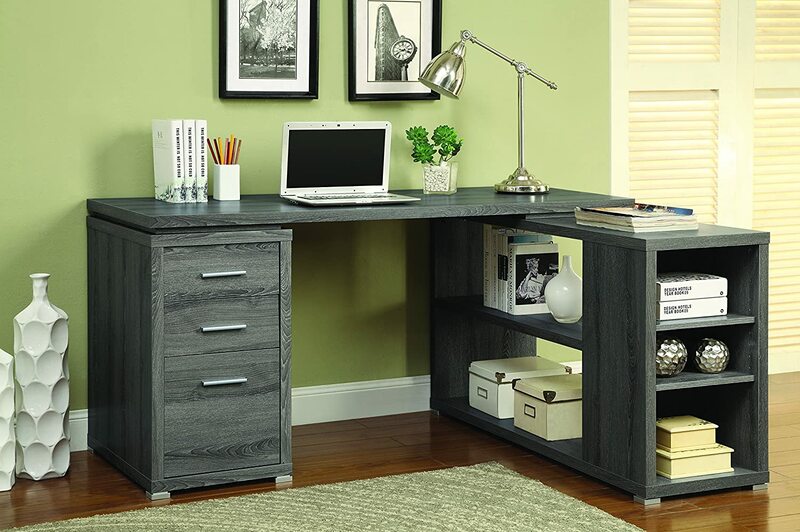 This gorgeous small office setup idea features a pedestal desk in washed gray. Keyboard space is concealed in the single drawer. 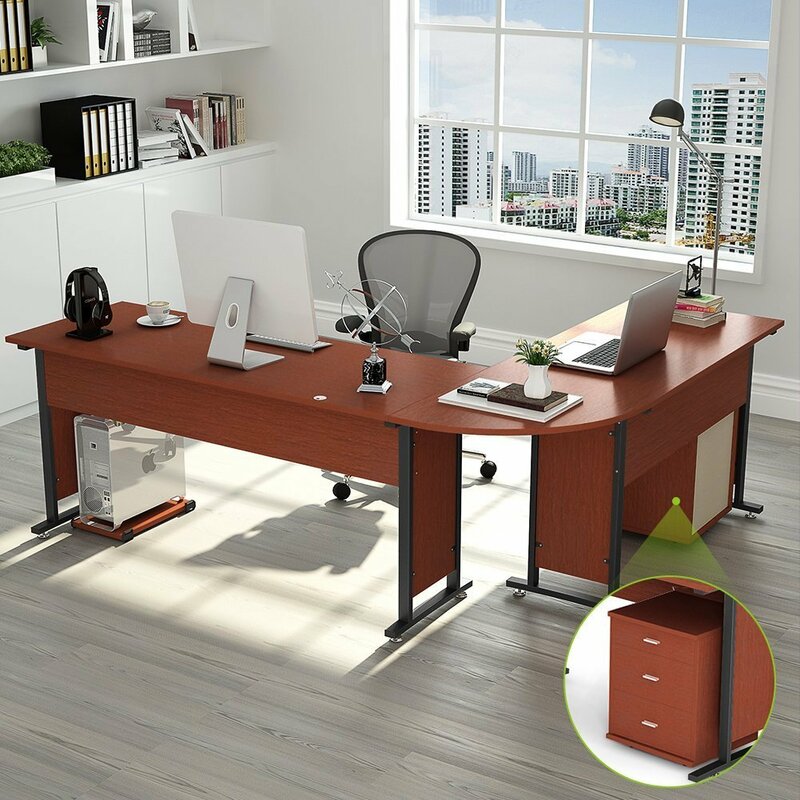 Store your office supplies and paperwork in the spacious storage cabinet. 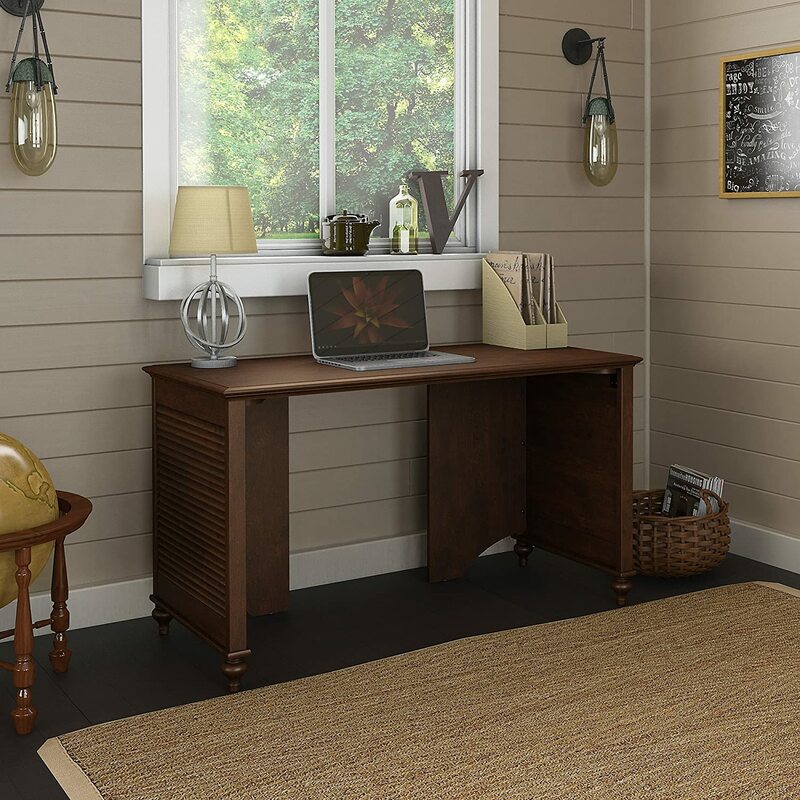 An L-shaped small home office design setup is attainable, even in a small home office! 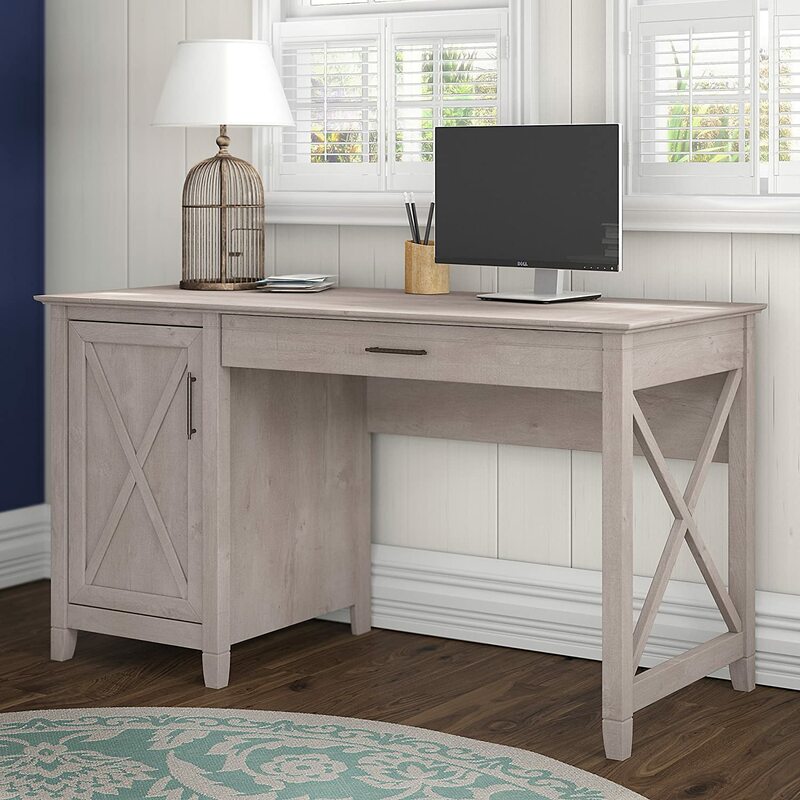 This beautiful corner desk is made of salt oak and contains plenty of storage space for any home business supplies and paperwork. Easy to assemble and gorgeous in any room, this is one of the best small office interior design looks! 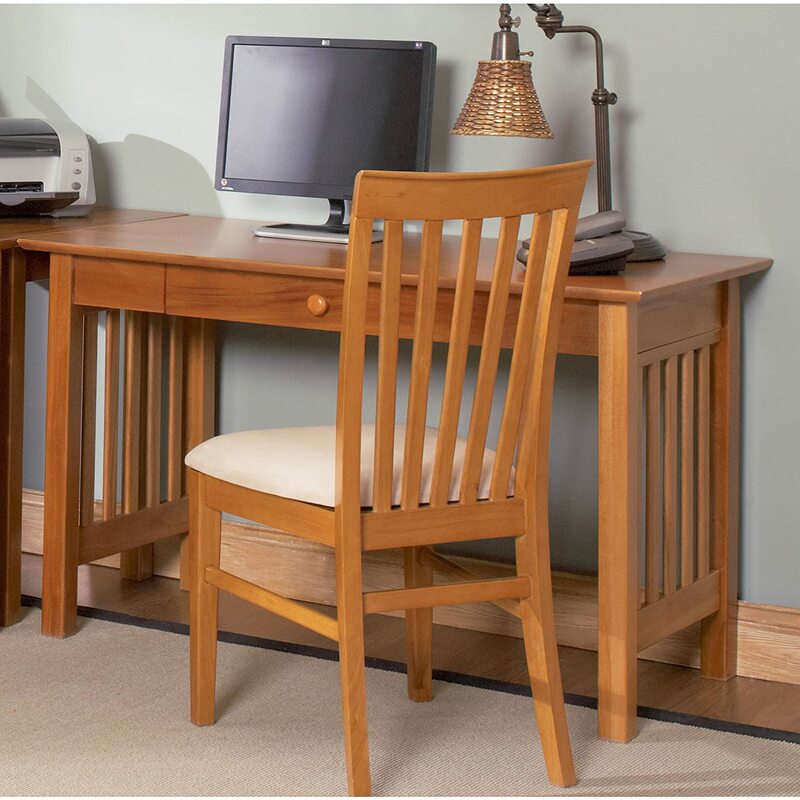 This desk is available in cherry or salt oak. The salt oak is to die for! 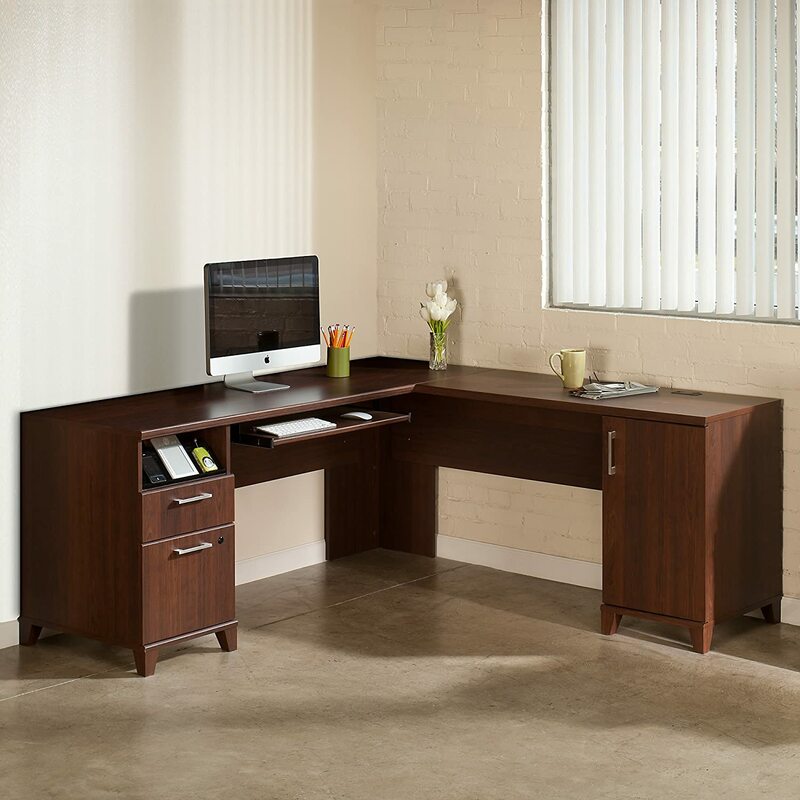 A perfect desk for small office space, this caramel latte wood desk fits in the small corner or closet. It doesn’t take 50 square feet to have a fully functional office! 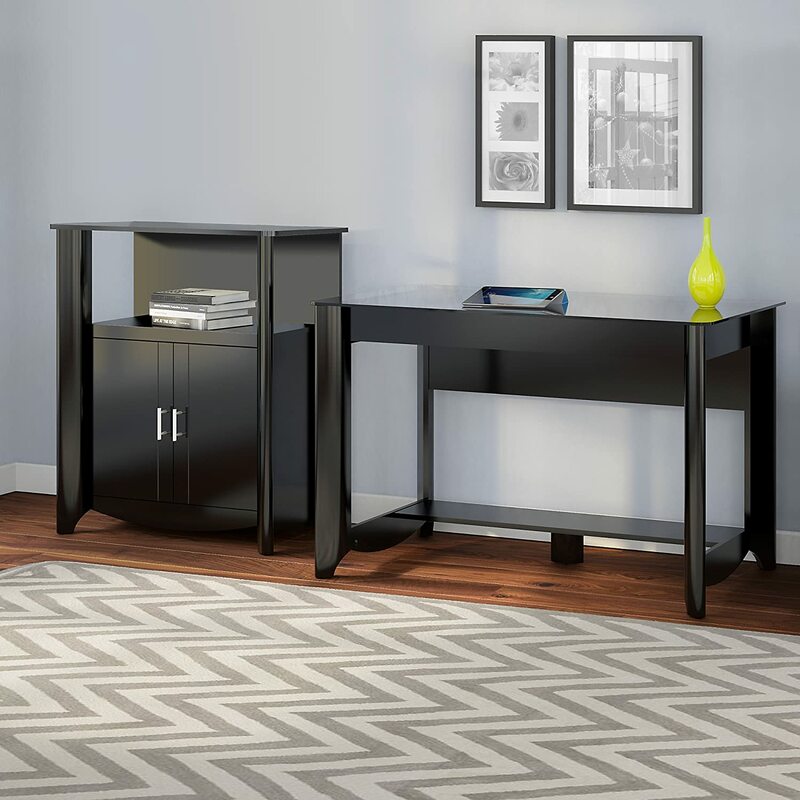 What do you think of this beautiful black desk for small office area? This small office design is beautiful, modern and complete with storage space. The white version is stunning! 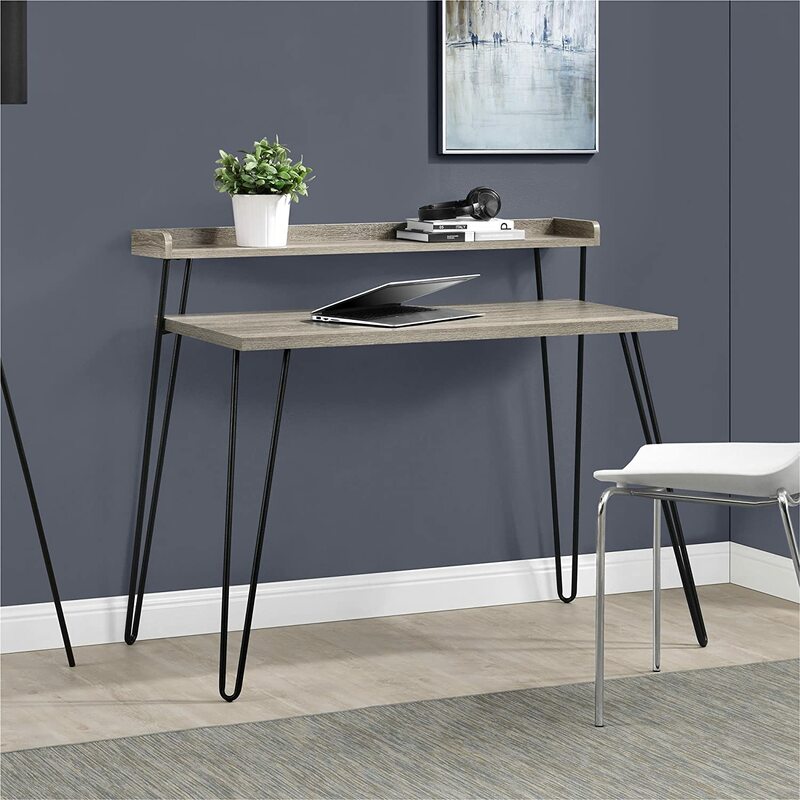 Surprised to see a corner desk described as a small office interior design idea? I’m not! My office space is tight, but I wouldn’t give up my own beautiful L-shaped desk for anything. 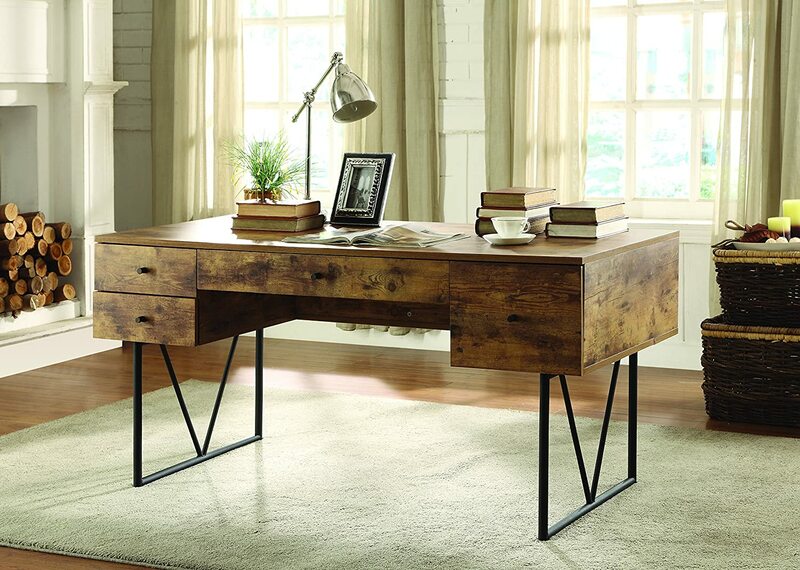 Available in both antique white and antique black, this office design idea is stunning. The corner, stacked layout provides plenty of storage area while maintaining the use of only one corner or a room. 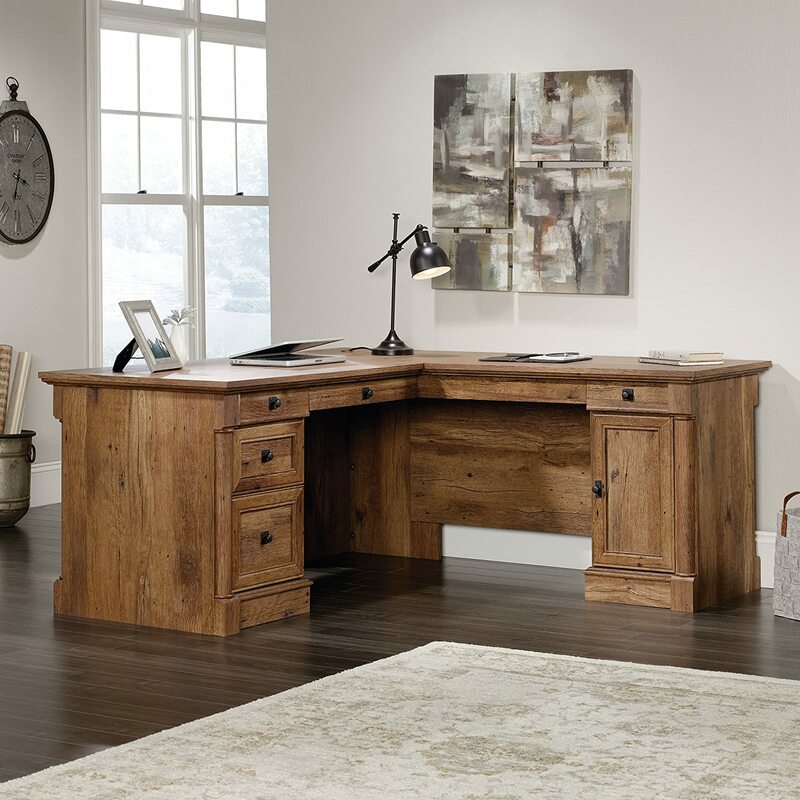 A small office setup is within your grasp with this beautiful vintage oak L-desk! Plenty of leg room, storage space and desktop area for your work. Even the smallest space is perfect for this frugal small office setup idea. It certainly doesn’t require a large room much less a large wall to accomplish this beautiful look! 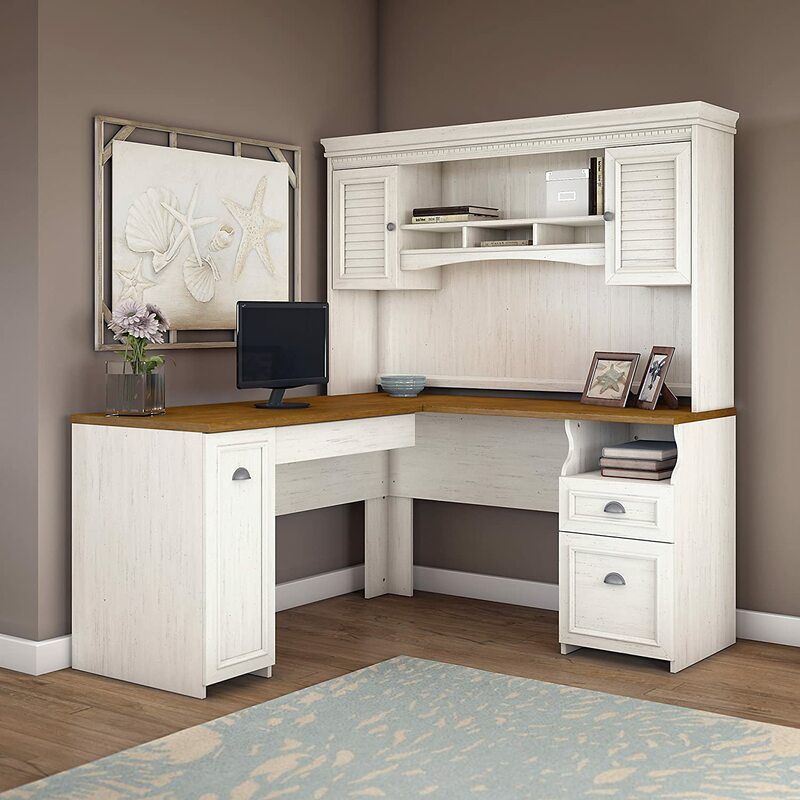 Absolutely simple but perfect, this affordable home office design features a weather oak office desk that could fit in a closet. This small office design idea features a floating desk that can be anchored to the wall of any room. Save so much space with this small office design idea! I am thrilled to share these small office design ideas with you. While shopping for my own home office desk and interior design ideas, it was always helpful to see the full picture of what my finished office could really look like. Today I work in my home office daily and wouldn’t give it up for anything! Let me know in the comments which look you love the most. I would love to know and hear your fabulously stylish home office design ideas! Excellent tips. Today’s parents really do want the convenience of working from home; however, we need to guard our professional reputations by making sure we’re professional & responsive. Maximizing space & keeping clutter down via organization makes sense. Thank you, Judy! Yes, it is so helpful when a parent has a quiet, organized area dedicated to business! I highly recommend it to any business professional.